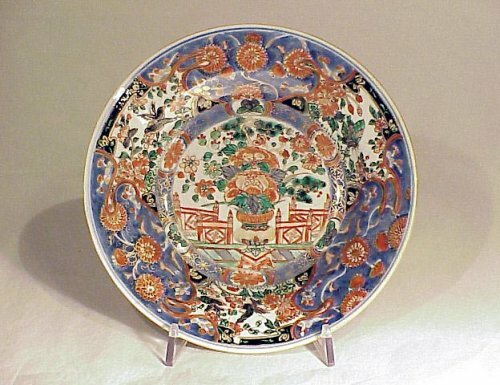 A Chinese porcelaine plate, decorated on both sides. China XVIII Century diam. 22,5 cm It has been made a fixing of a crack in the lower sector.